Millions of Manufacturing Jobs May Open Up, But Who Will Fill Them? Communities across the country are asking just that and working to help fill the void. In and around Louisville, KY, KentuckianaWorks, a regional job-services group, offers education and training courses, and connects students with prospective employers. "Manufacturing jobs are here and growing in numbers, but you can't just show up at a plant after high school and get hired any longer. You need some specialized training and certifications," Chauncy Lennon, head of Workforce Initiatives at JPMorgan Chase & Co., which helps fund KentuckianaWorks as part of a $250 million commitment to support training for manufacturing and other middle-income jobs, told Bloomberg Businessweek. Other funders include the Louisville Redevelopment Authority, the National Fund for Workforce Solutions and several foundations. Read on for details and success stories. 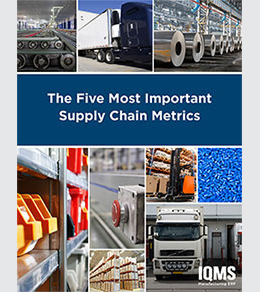 When it comes to measuring supply chain performance there are hundreds of metrics you can measure. Too many metrics is confusing. Too few may not provide enough information to make proactive decisions. The key is a few well-chosen KPIs that work together to identify challenged areas, keep your supply chain lean and customers happy. 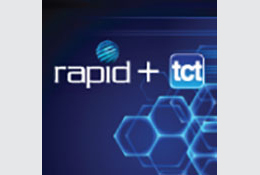 RAPID + TCT is your destination for discovery, education, and networking in additive manufacturing. The two industry leaders in 3D technology events, SME and The TCT Group, are teaming up to produce RAPID + TCT starting in 2017, ensuring North America continues to host a world-class event for 3D technologies. Courtesy of Kelli Johnson, president of ACE Clearwater, a CA-based metalformer and fabricator, and Precision Metalforming Association member, The Art of Manufacturing podcast presents Five Ways to Keep a Manufacturing Company at the Cutting Edge. Summarized by Forbes, Johnson offers tips how to leverage people and new technologies in a smart way to get the most bang for the buck. One way is to dip a toe in. "Small companies might be intimidated by (the Industry 4.0) concept, and think they aren't sophisticated enough to take advantage of these technologies," the article reads. "(Johnson) started first with a small industrial 3D printer and encouraged her team to experiment and suggest uses for it. Now they have a printer sophisticated printer with which they create models, trim templates and weld fixtures." The New Holland Agriculture plant of CNH Industrial has been helping farmers improve productivity since 1895. Now, magnetic die clamping is helping the plant improve its own productivity, by slashing die-change times as part of its World Class Manufacturing program. It's no secret that automated punching can be tricky business. But following some simple procedures and using the correct tools for the application will not only yield the quality parts you seek, but also deliver high tool mileage. We are looking forward to seeing you at the 2017 Die-Design Software and Simulation-Technology Experience in Chicago, IL on May 31-June 1. Presented by MetalForming magazine, this popular program will feature keynote presentations from industry experts, interactive discussions and demonstrations from leading suppliers on the newest technology and simulation software. Do not miss this opportunity to network colleagues from other metalforming companies and learn about the latest developments to help improve your company's manufacturing performance. Visit the event website to learn more. Do you want access to breaking industry news, new-product introductions, Twitter updates, MetalForming magazine articles, and the ability to register for events right from your smart phone or tablet? 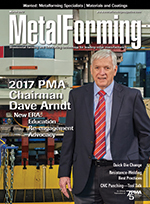 Download MetalForming magazine's new mobile app, MetalForming Everywhere and stay connected with your industry. 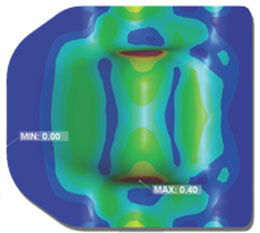 Download MetalForming Everywhere here.